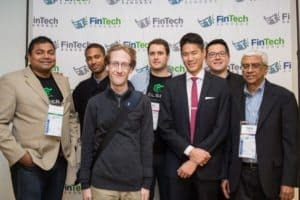 FinTech Sandbox, a nonprofit that helps FinTech startups access data and build great products, today announced a series of celebrations marking its one-year anniversary. The biannual FinTech Sandbox Demo Day will be held on March 24, 2016 at Fidelity Investments headquarters. Sandbox sponsors, data partners, residents, investors, members of the media, industry analysts, academics and FinTech professionals will convene in Boston for this unique occasion. Cognism – a web-based productivity suite for financial professionals that dissects financial research and news into unique, actionable knowledge blocks. EverSafe – a financial safety net for seniors and their families that securely monitors financial accounts and credit reports around the clock. ForwardLane – an online cognitive computing platform for wealth management. Kyper – a cloud-based Data as a Service platform, providing instant access to the highest quality machine readable market data, financial data, and more. Nutonian – a modeling application for deriving answers from data using sophisticated evolutionary algorithms. Open Invest – an investment management platform where strategies are developed transparently and with community input. A member of Y Combinator in 2015. Trigger Finance – a trading platform that makes it easy to execute advanced investment ideas by reducing every complex order to an IF THIS THEN THAT statement, called a “Trigger.” A 2015 winner of a Cornell Tech Startup Award. Volos – a sophisticated tools for structuring and analyzing exotic derivative trades. Past Demo Day participants will provide updates on their progress after the main presentation. Currently, FinTech Sandbox has accepted thirty-nine startups from London, Boston, New York, San Francisco and Chicago, and has received nearly two hundred applications from FinTech entrepreneurs worldwide. The Sandbox provides FinTech startups with access to critical financial data from more than twenty-five data partners and continues to expand and enrich its financial data offerings. FinTech Sandbox will recognize special contributions to our program made by both residents and advocates with an Awards Reception on March 23rd. The Sandbox has also organized a panel discussion on March 25th that will explore the challenges and opportunities facing FinTech entrepreneurs and featuring the perspectives of both VCs and founders who secured funding. The discussion is open to the FinTech ecosystem and members of the media, and will be moderated by FinTech Sandbox Advisory Board Member Bruce Wallace, digital officer at Silicon Valley Bank.